Getting better quality sleep at night can have some fantastic benefits for people of all ages. Some of the many health benefits include having more energy, better concentration and focus, healthier weight loss, and clearer skin. For young children and teenagers, getting enough sleep at night is absolutely essential to healthy growth and development (both physically and mentally). So, what can you do to make sure that your family is getting the best nights sleep, every single night? 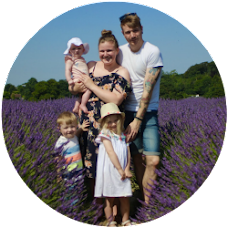 In this post I'm going to share 3 steps for better sleep quality for the whole family! Gadgets such as smartphones, tablets and laptops are playing an increasingly important part in our lives, with most children using them from a very young age. But while there is no denying that these devices can be essential to education or keeping connected to loved ones, not everything about today’s modern technology is beneficial. Using your gadgets too late into the night will affect the production of melatonin - a natural hormone produced by your body in the dark to get ready for sleep, bringing on feelings of drowsiness. If you use your smartphone in bed, the blue light from the screen can seriously hinder your sleeping pattern, rendering you wide awake into the early hours. The same goes for your laptop, PC, tablet, and even your TV! Why not schedule a ‘screen-free’ hour for the whole family, at least an hour before bed, to help everyone relax in the evenings. There are several great natural sleep aids that you use to aid peaceful sleep. Essential oils such as lavender and chamomile are some of the most popular; put a few drops in your bath water, on your pillow, or into a diffuser in your room to help create a calming atmosphere. It is also important to make sure your bedroom is conducive to sleep - calming light colours and a good quality mattress, such as those from the silentnight mattresses range, will make a huge difference to your sleep. Even something as simple as a blackout blind can create a better atmosphere for sleep. Getting more physical activity as a family has many more benefits on top of improved sleep. Exercising in the morning or during the afternoon can make it easier for you to fall asleep at night; physical activity raises your body’s temperature, leaving you feeling sleepy once it returns to normal. For the best results, aim to time your family exercise sessions no less than four hours before bedtime. It is a great way to bond as a family unit too! We're half way through the Easter Holidays now, and amazingly we haven't had nearly as many arguments of bickering wars as I thought! This was most likely helped by Jack being home last week, and us actually being away on holiday. Everything is much more relaxed on a holiday right? We had such a lovely time away though. It was definitely what we were all craving after busy weeks of school / work, and not much family time. I could tell Indiana needed a bit of down-time especially; the actual learning and work she's doing at school seems to have increased loads in the last few weeks! And Lilah absolutely loved having everyone at home with her to play with (although she wasn't so keen on sharing all the toys). 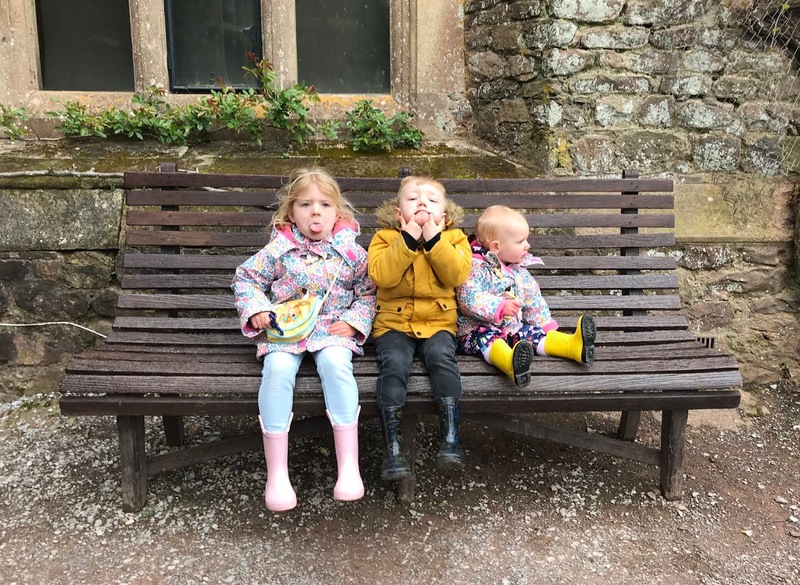 These photos were taken on our visit to Dunster Castle, and although the fake smiles are out in full force, I love them anyway! 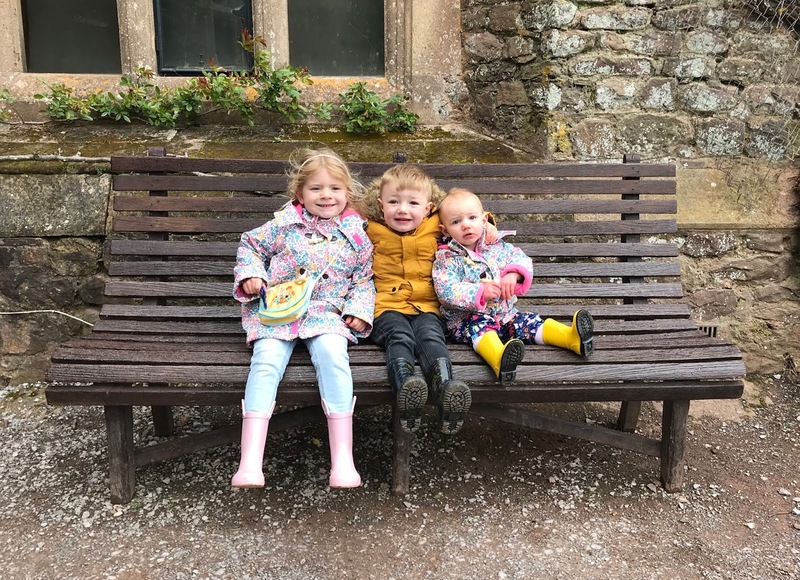 Indiana is looking SO grown up, Parker seems to have finally had a growth spurt (he's almost as tall as Indie now), and Lilah just looks super sweet in her little yellow wellies. And just look at the girls in their matching coats... how did I get so lucky? Like most children, Indiana and Parker are absolutely superhero obsessed. We have lots of toys and figures of their favourite characters, but nothing like the fantastic HERODRIVE vehicles we were recently sent to review. 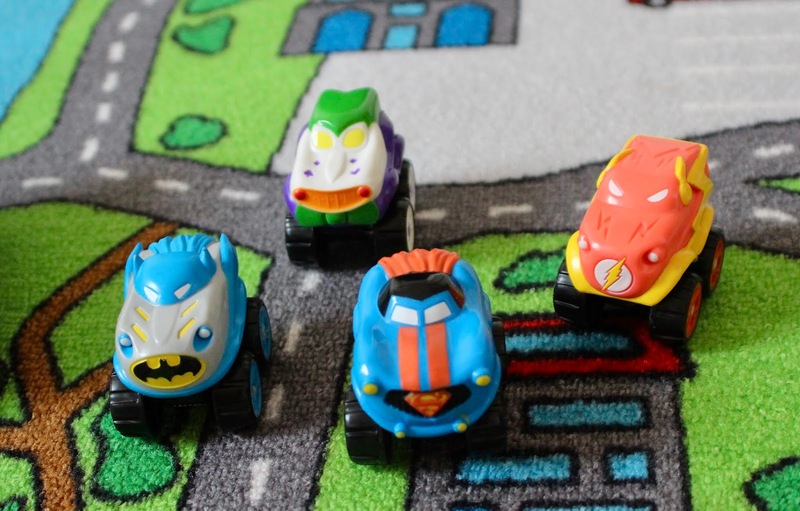 Aimed at children aged 3-6 years, the new toys feature DC Superhero characters mashed up with vehicles, to make the ultimate super toy! 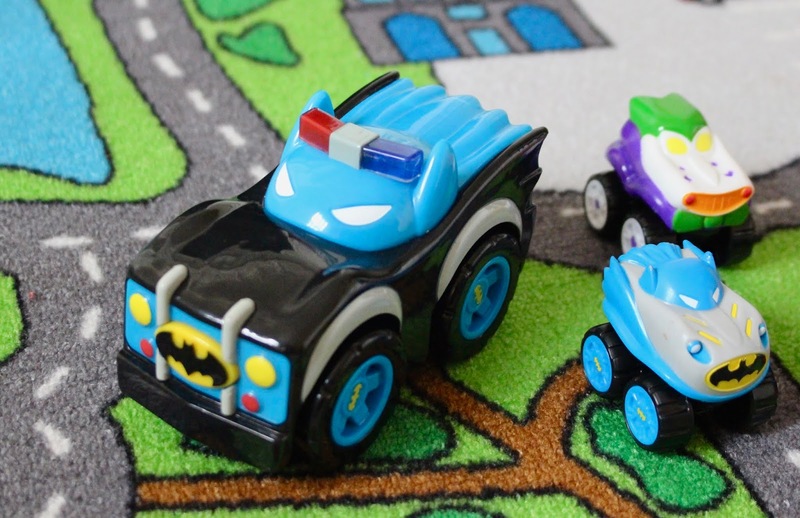 We were sent the Herodrive DC Superfriends Speed Squad Minis as well as the Mash machines Batman Police Car - both of which are available now in most Asda stores (the 2.5 inch vehicles can be bought online too). The Speed Squad Minis (2.5 inch vehicles) are available to buy as single cars or as a 4 pack. So you can either pick your child's favourite character (between Batman, Superman, The Flash, Aquaman and The Joker), or collect them all! 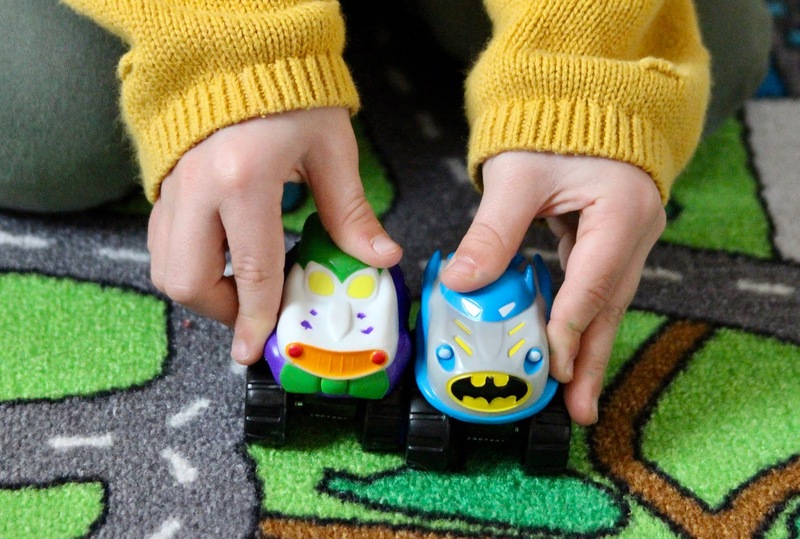 They are a perfect size for small hands to push about and get imaginative with, and their size also means they are easy to take out and about on crime fighting adventures too! 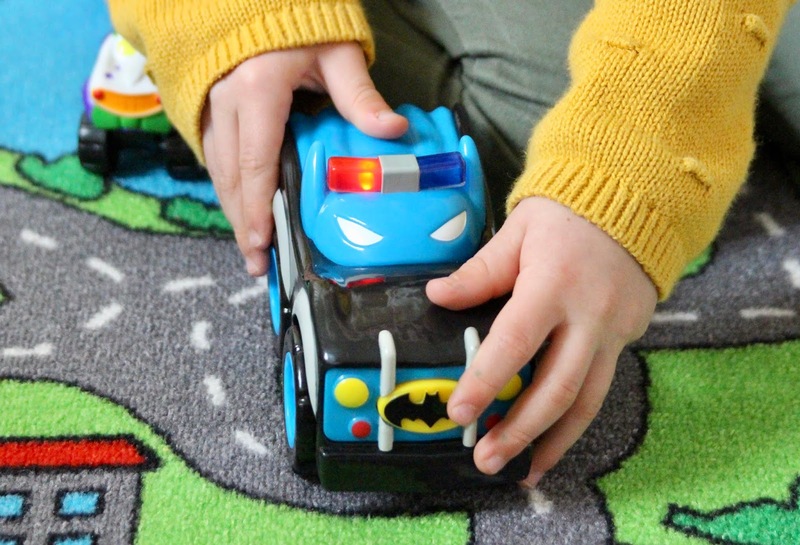 The Herodrive Mash machines are a bigger vehicle, and feature fun little extras such as flashing lights and sounds - you simply press the bat logo on Batman Police Car to set them off. Each vehicle retails at £7.99, so they are reasonably priced enough to build a collection. So if you have a mini superhero fan in your household, these are definitely they perfect toy for them. Plus make sure to keep an eye out, as there are more Herodrive vehicles to come! We received these toys in exchange for this review. All opinions are honest and my own. 5 Thing to Think About Before Starting your Kitchen Renovation! They say it is the kitchen that adds the most value to a home (only if it's done right that is! ), but for many of us, this usually means renovating and decorating the kitchen that we have. 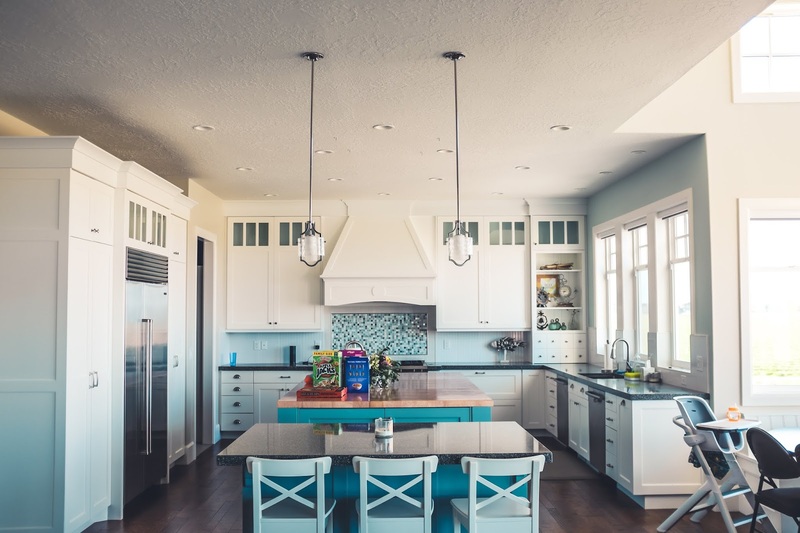 When it comes to kitchen renovations though, there is quite a lot to consider before you start - I have shared the top 5 in this post! The first thing you need to consider before you renovate your kitchen, is what kind of layout you want. You usually have to factor in important thing such as gas placement and plumbing, so make sure you haven't just picked your design based purely on aesthetics - if you can't move the plumbing there's no point changing where you want your sink! Designing your kitchen maybe something that you need some professional help with, as it can be hard to work out in what position things can go on your own. The next thing to think about before you begin your renovation, is the type of flooring that you will install. After all, it needs to take a lot of wear and tear from constant use as well as regular cleaning. Think sensibly about the material that you would like to use. The most hardwearing tend to be stone and hardwood, but these can be pretty expensive, so it may be more cost effective to go for laminate or even a lino floor (which you can get in designs that actually look like wood and stone now). You may even wish to consider installing underfloor heating if you are going for an entirely new floor. Not only can this make your kitchen a more comfortable place to spend your time, but it can even be a more efficient way to heat your home. Cabinets are another feature to think carefully about before you begin your kitchen renovation - they are a central part of not only the aesthetic but also the functionality of the space as well. First to consider is whether you will replace the entire cabinets or only the doors. 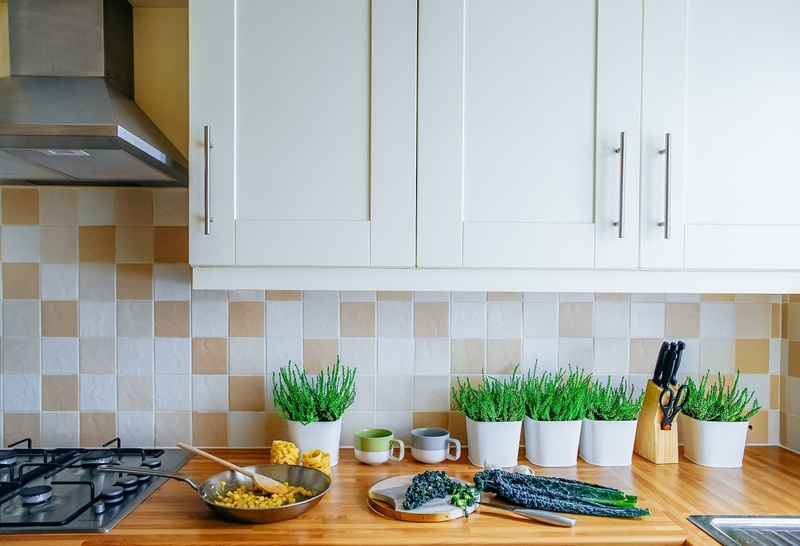 Obviously just changing the doors is cheaper, but if you haven't got the space you actually need for your kitchen to be organised and functional, then it may not actually be the best for you in the long run. When it comes to the style it is essential to consider not only what will fit into with the aesthetics of your kitchen, but also what is most practical too. Gloss white cabinets look great when they're clean and smudge-mark free, but if you children and not much time for polishing, it may be hard to keep them that way! It is important to do three things when you're considering your white goods / large appliances. The first is to research the review on any appliance you are considering investing in. Be sure to not only look at the reviews displayed on the company’s own site but on objective, independent site as well to get a real sense of what you are buying! And lastly, if you are replacing old appliances, you need to make sure you dispose of the old ones correctly. If you don't think you can get bigger appliances such as your fridge in your car, there are companies that specialise in fridge disposal services. And probably one of the most important decisions to make once you've picked your kitchen, is whether you will be getting experts in to help install it, or whether you will do it DIY style (that can include finding your own fitters, outside of the company you bought the kitchen from too). There are plenty of tutorials and videos online that can help you complete your kitchen renovation if you do decide to go solo! In recent times, more and more of us have been becoming more mindful of the value of living low-impact, environmentally friendly lives - especially as the horrors of our past are now coming to light. Years of burning of gases and creating crippling amounts of non-degradable plastics, have taken such a terrible toll on our planet. There is still time to make a change though, and to make improvements one step at a time. Here are just 3 ways to make your household a bit less wasteful. There are plenty of smart devices on the market today, that utilise innovative modern technologies, in order to streamline and optimise the way you do things in your home. One you may not have thought of investing in is a water softener systems for the home. These can reduce running costs as well as help preventing such as limescale damaging your appliances. You may find that you use less water for things like showers, as the water will leave your skin feeling softer and more supple by default. It's likely that wherever you live you'll be able to shop in a way that helps accumulate less plastic. For example you should be able to buy certain groceries such as fruits, vegetables and even pastas loose (as opposed to wrapped in plastic packaging). This is maybe a little bit less convenient, but it is certainly more environmentally friendly - and may even support a small business while you're doing so! 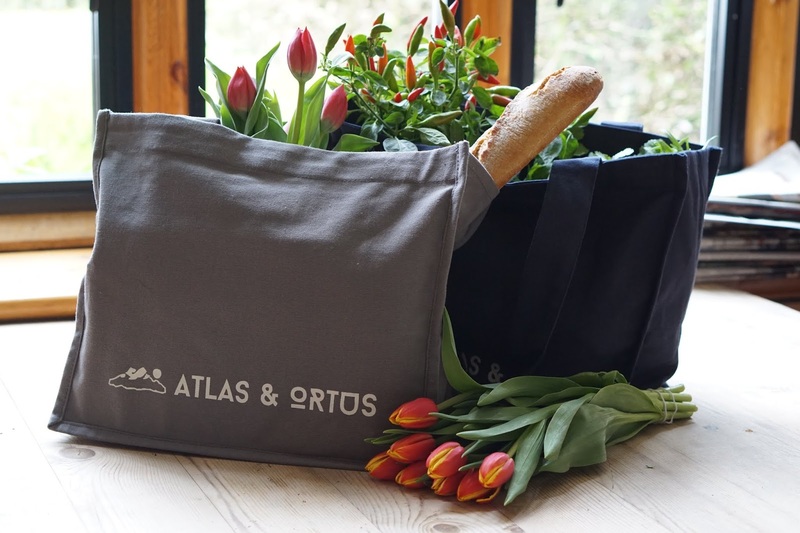 Depending on what's available in your local area, you may even be able to get almost all of your groceries plastic free from somewhere like a farmer's market, an authentic butcher's shop. If you want to take the whole eco-friendly ethos a bit further, and make forays into the world of homesteading, you could always investigate setting up your own self-sufficient, eco-friendly systems in order to get a bit more "off grid." For example, you could have your land surveyed to see if you're above an aquifer, and if you are you could have a well drilled down. You could also set up some solar panels if you happen to live in an area that gets a decent amount of sun. Even something as simple as growing your own vegetables will help - and it ties in nicely with bringing less plastic into your home too! 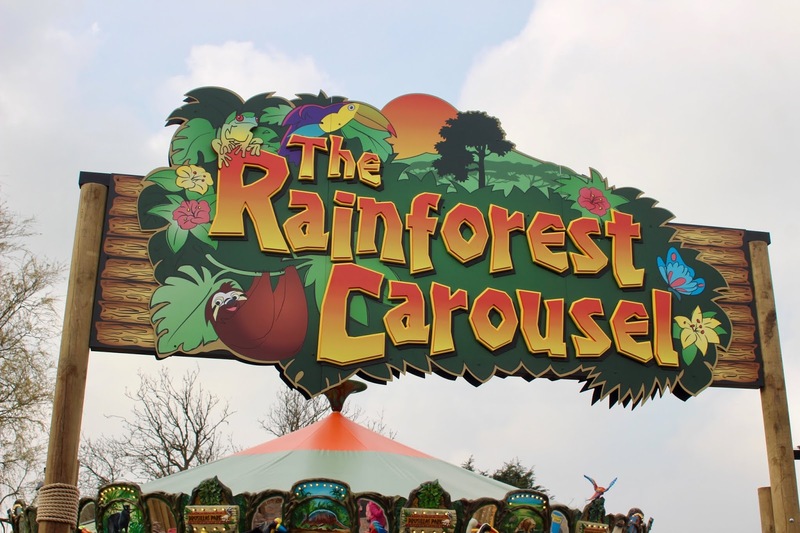 Last Saturday we were invited along to Drusillas Park, for the grand opening of their brand new attraction - The Rainforest Carousel. 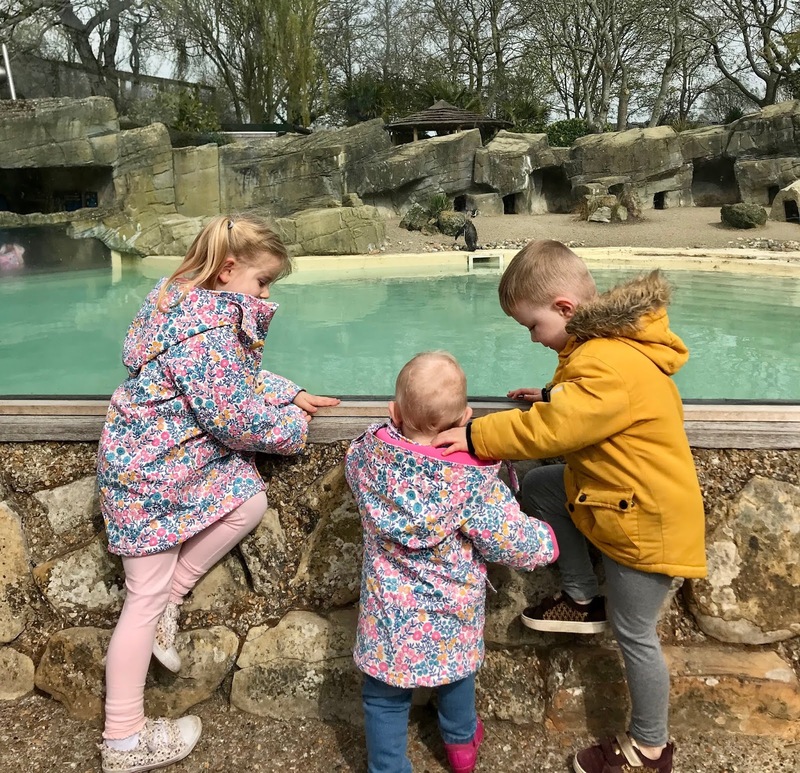 We had the most amazing day out as a family, and I just know the littles will want to go back to visit again and again! 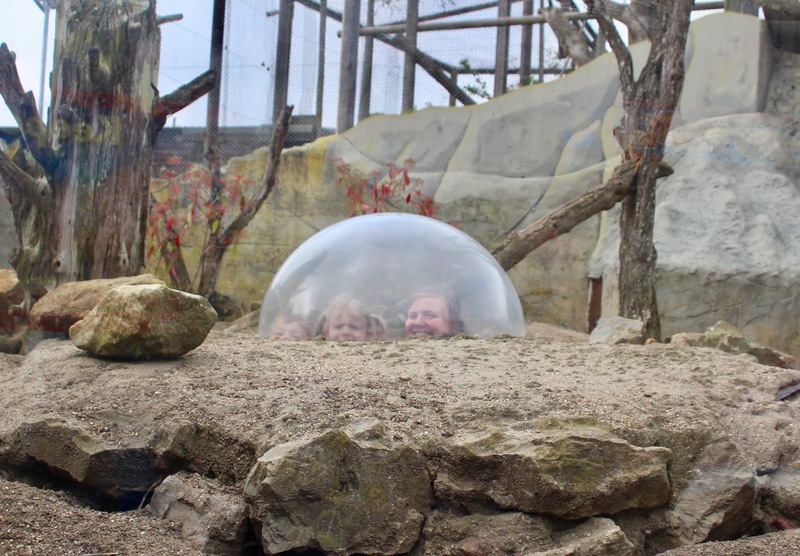 Widely regarded as the best small zoo in the country, Drusillas Park is a family-run business located just off the A27 near Alfriston (approximately 6 miles from Eastbourne and 12 miles from Brighton). 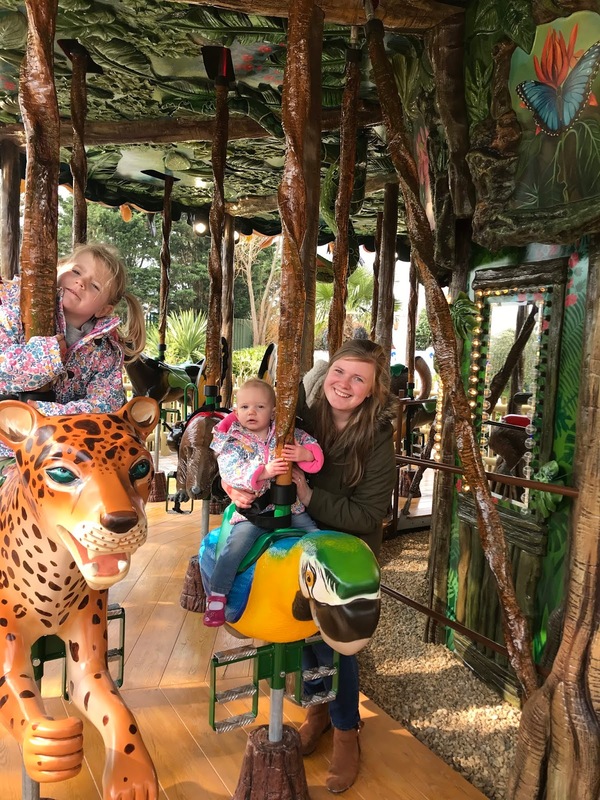 I have such fond memories of the park from my childhood, so it was lovely to take my own children along to see all of the new additions and attractions. They still have the wonderful animals I remember, but they are just half of the fun now. 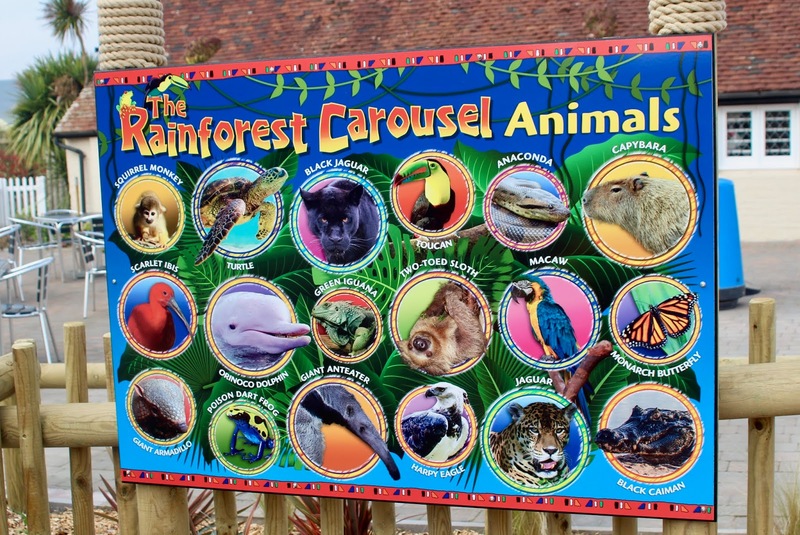 There are also a number of other fantastic attractions, including Go Wild! and Go Bananas! the huge adventure play areas, Get Wet! the splash park, and the rides at Go Safari! and Hello Kitty's Secret Garden! 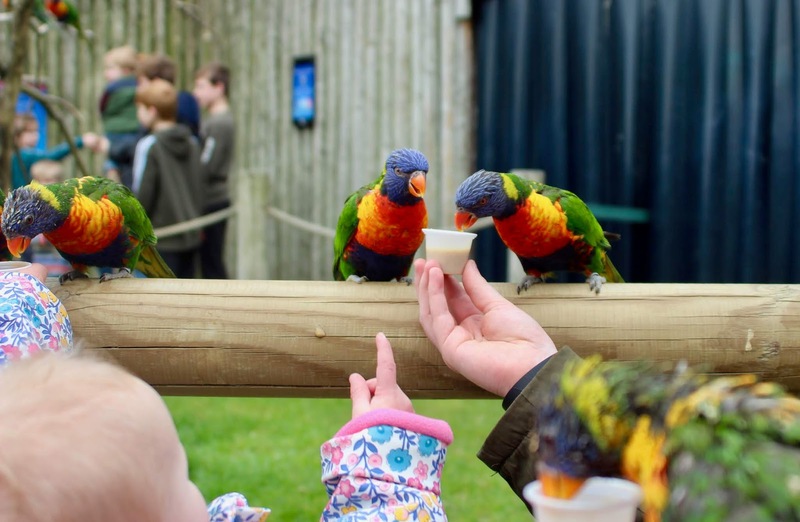 The Zoo Route also features three walk-through exhibits - Lemurland, Lory Landing (where you can pay £1 for nectar to feed the lorikeets!) and the Bat Cave. On arrival we headed straight to the Go Safari! section of the park to get our first experience of the brand new Rainforest Carousel. 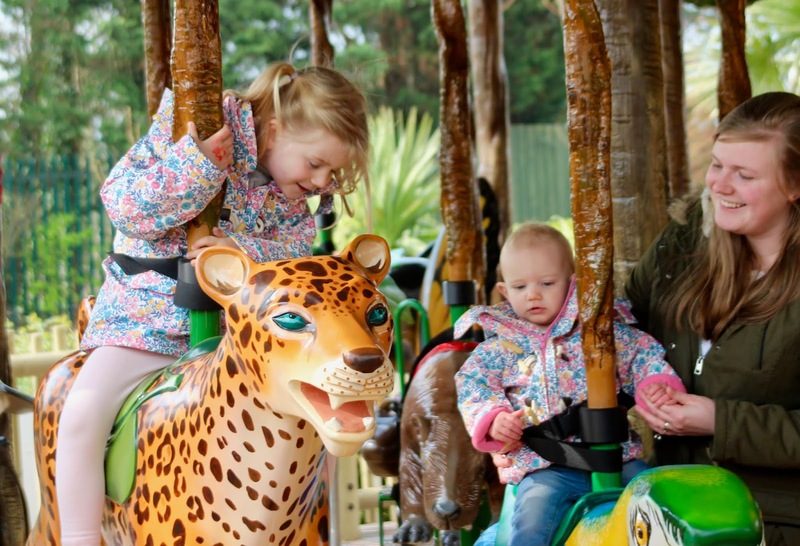 The beautifully designed carousel is the first of its kind in the UK, and features over 30 different rainforest animals for you to sit on, including a jaguar, a sloth and even a turtle that has been specially adapted for wheelchair users. 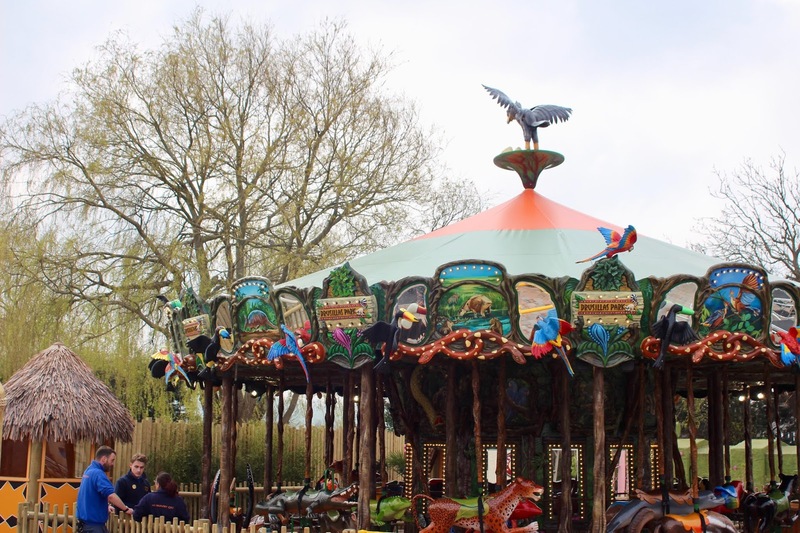 The Rainforest Carousel is a perfect addition to the park, and so much fun for all of the family. Indiana and Parker wanted to ride again and again, choosing a different animal each time. Even Lilah was able to ride (the recommend age is 12 months+), and she was absolutely mesmerised by the lights and colours. The littles also tricked me into the 'snake basket' and decided to see how fast they could spin me - probably one to avoid if you don't like too much spinning! 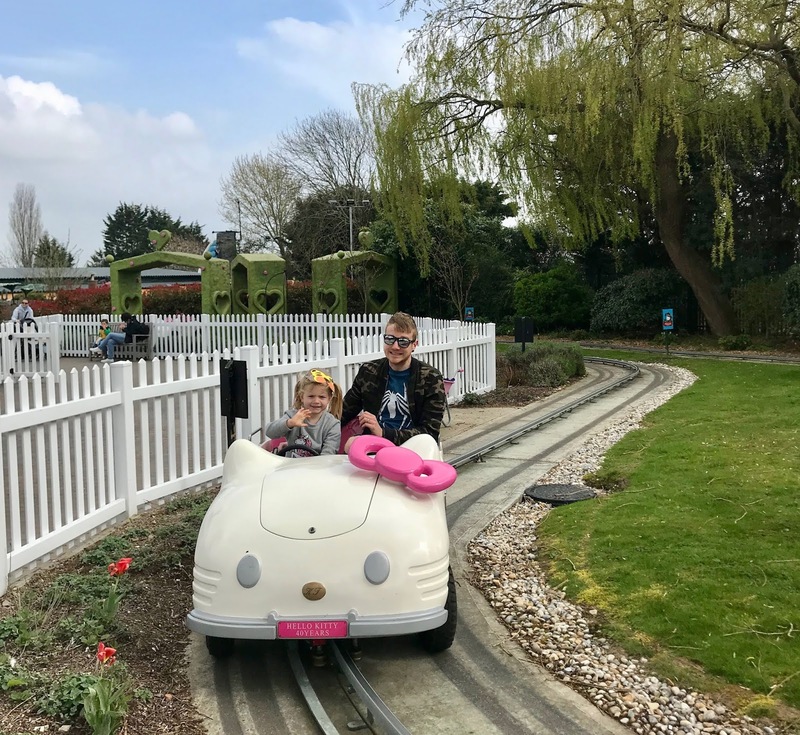 Once we were sure the littles had definitely had enough rides on the carousel, we decided to head back to the front of the park and follow the 'zoo route'. 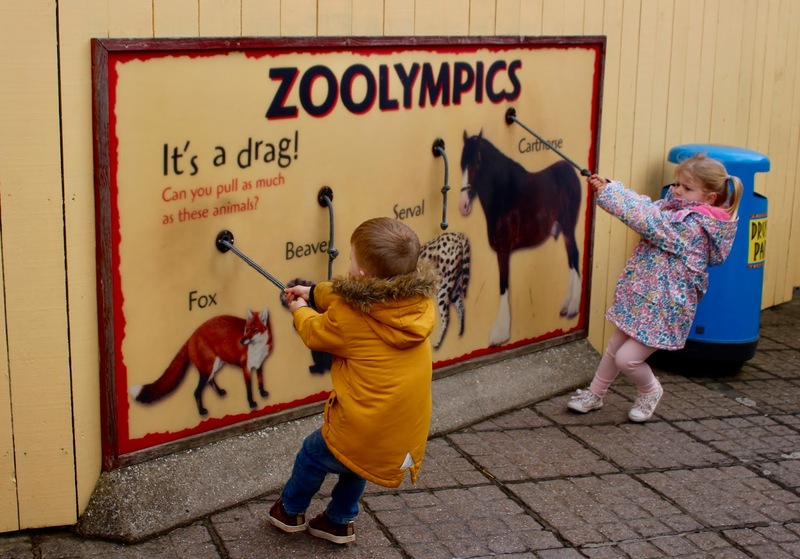 Drusillas have a great focus on education for little ones, so there are plenty of hands-on activities and interactive displays around the park. 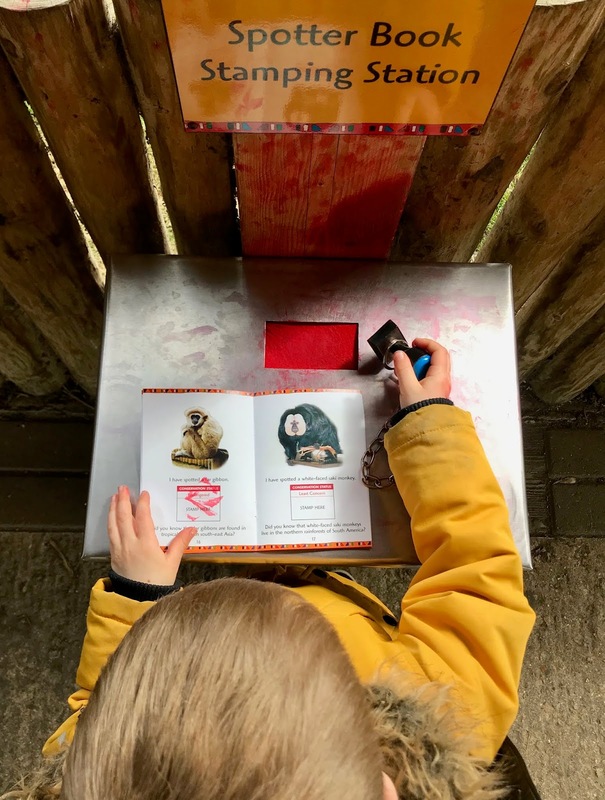 We made sure to pick up some animal spotters books as well as a Zoo Olympics book. 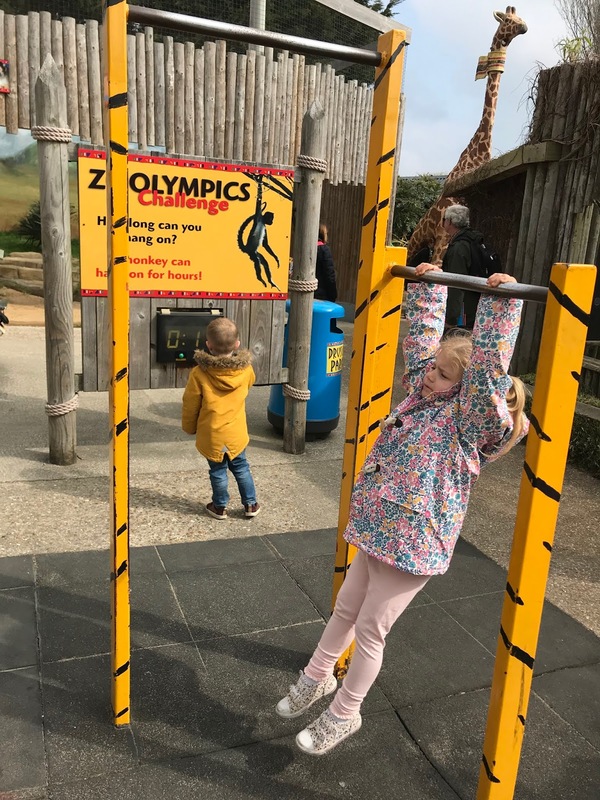 The big two loved spotting all of the animals and then using the stamp stations to tick them off, and the Zoo Olympics brought me right back to my childhood! Indiana completed it all and was given a lovely certificate at the end, so it's definitely worth getting stuck in and enjoying the challenges. Our favourite part of our whole day had to be our visit to Lory Landing. We were lucky to go in at a really quiet time, so the lorikeets seemed extra hungry and flew straight over to us. 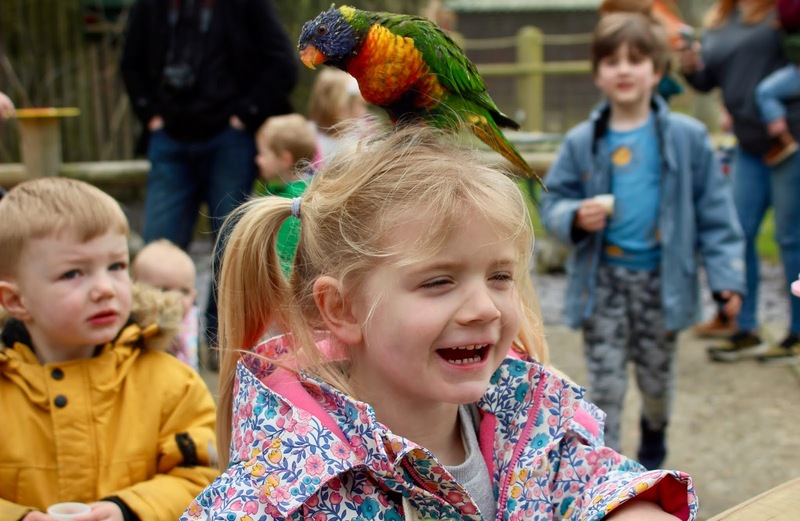 One even landed on Indiana's head which she thankfully found hilarious! It did get much busier shortly after though, and guests weren't given the nectar as it was just too busy. So definitely keep that in mind when you visit. After seeing all of the animals and a pit-stop for lunch, we ended our visit back at Go Safari! to enjoy the rest of the rides. 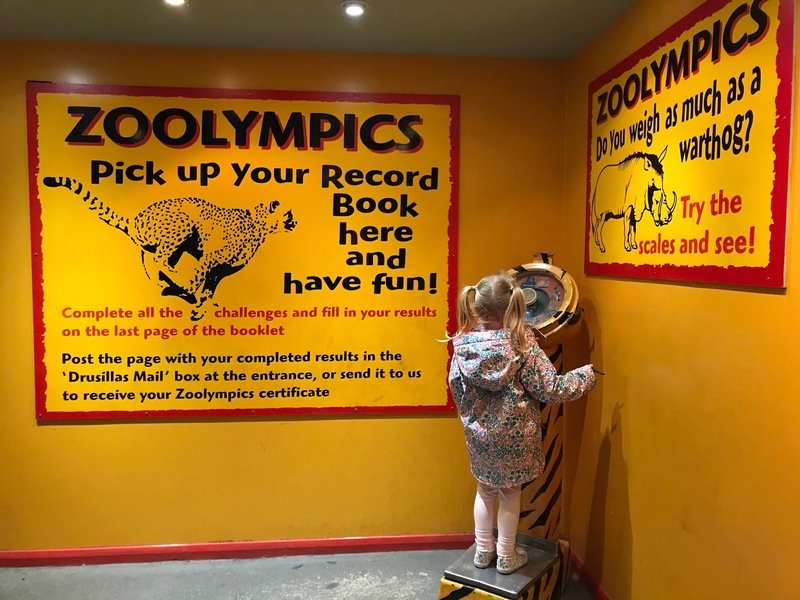 Our big two (aged 5 and 3) were the perfect age for the attractions, and could go on all of them either alone, or with a grown up. The train ride was slightly disappointing as it is incredibly short and the animatronics are very sad looking. But if the queue is short I would say give it a go as children seemed to enjoy it! 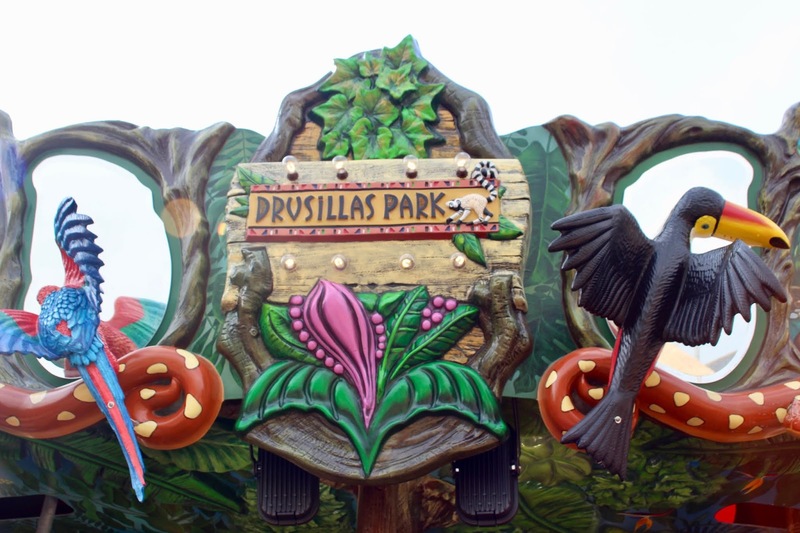 The only negative I have of Drusillas would have to be the price of entry. They have a colour code payment system so prices depend on the time of year - with school holidays and weekends of course being more expensive. 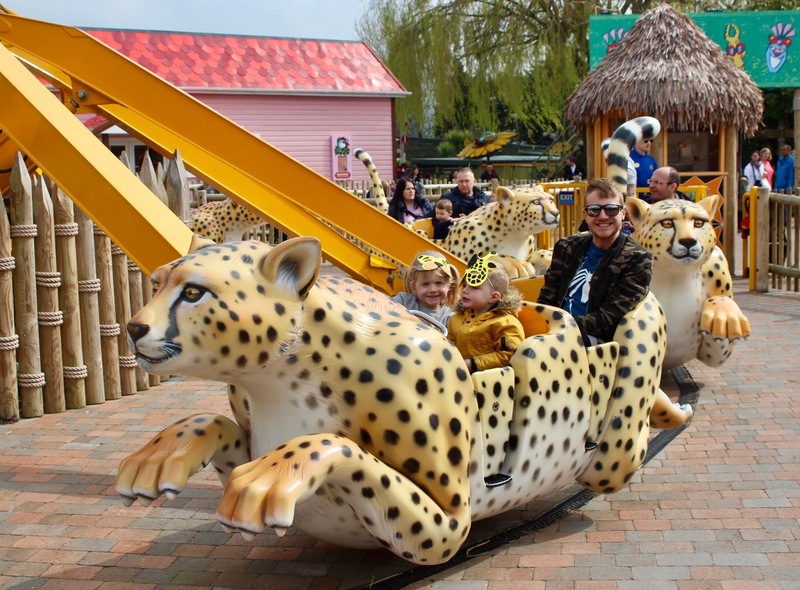 Prices vary between £63.80 - £86 for a family of four, and everyone pays the same price from aged TWO! I really feel they need to introduce an adult and child pricing structure, as it just seems so unfair to pay the same price for a 2 year old and an 32 year old. You can save a bit of money by pre-booking online though, so definitely worth planning ahead. 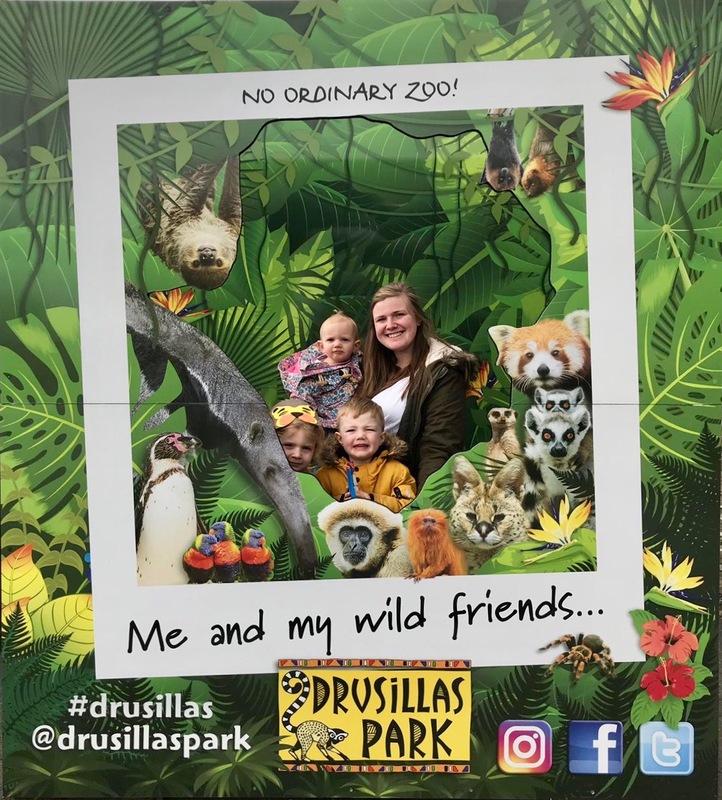 There really is so much to see and do at Drusillas Park; from the animals to the adventure play and brand new Rainforest Carousel - it's such a perfect day out for families with children aged 12 and under! Ticket prices may be a little high, but if you pack a picnic and spend the whole day exploring, I promise you'll have a fantastic day out! We received entry into the park in exchange for this review. All opinions are honest and my own. 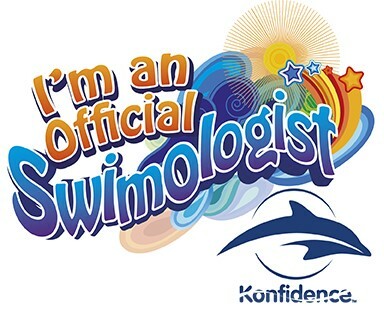 We are SO excited to be sharing the super special news today, that we are Konfidence Swimologists! 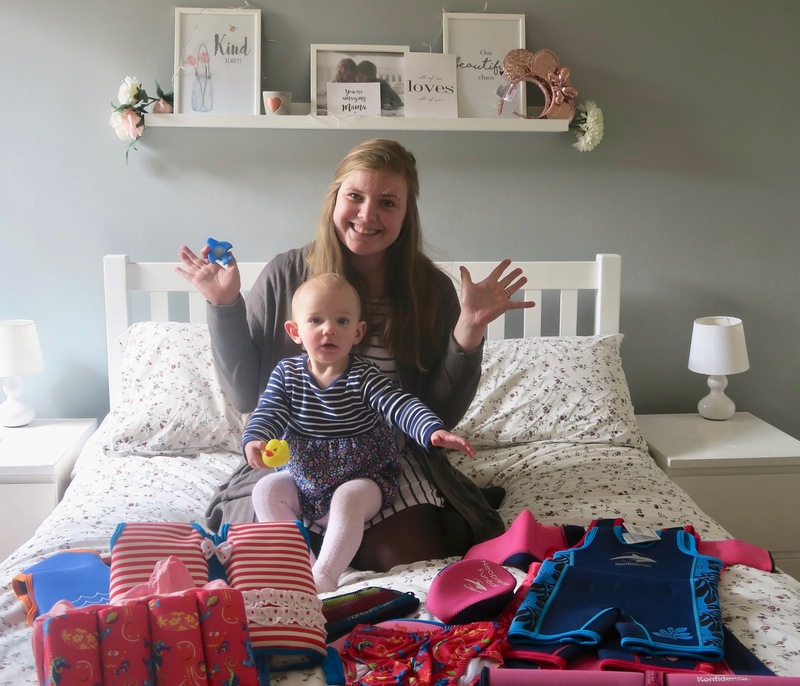 We worked with Konfidence back in 2017, when Parker was one of their baby Swimologists. 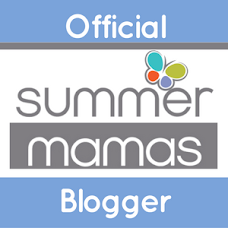 But this year we are a part of the Child Swimologist team, alongside some other fantastic parent bloggers. We have been sent a whole selection of products as part of our ambassador role, and will be thoroughly testing them out over the year; and then sharing our experiences with you. In a few months we are heading up to Alton Towers, to put our swimming products to the test at their Splash Landings resort too! And what's even more exciting is that we have a £50 gift voucher to giveaway, so you can be swim ready for the summer! The giveaway can be entered via the Rafflecopter widget below (terms and conditions apply). Good luck! The giveaway is for a £50 voucher to spend on swimming gear at Konfidence. The giveaway closes at 11.59pm on 21st April, and is open to UK entrants who are over 18 years old only. The winner will be selected at random using Rafflecopter and contacted within three days of the giveaway closing. The winner has 28 days to claim their prize and provide their contact details. The prize will be sent via email as a voucher code and is redeemable at www.konfidence.co.uk only. The voucher must be spent in a single transaction and can either be used to fully pay for product(s) or as part-payment towards product(s). The prize is non-transferable. 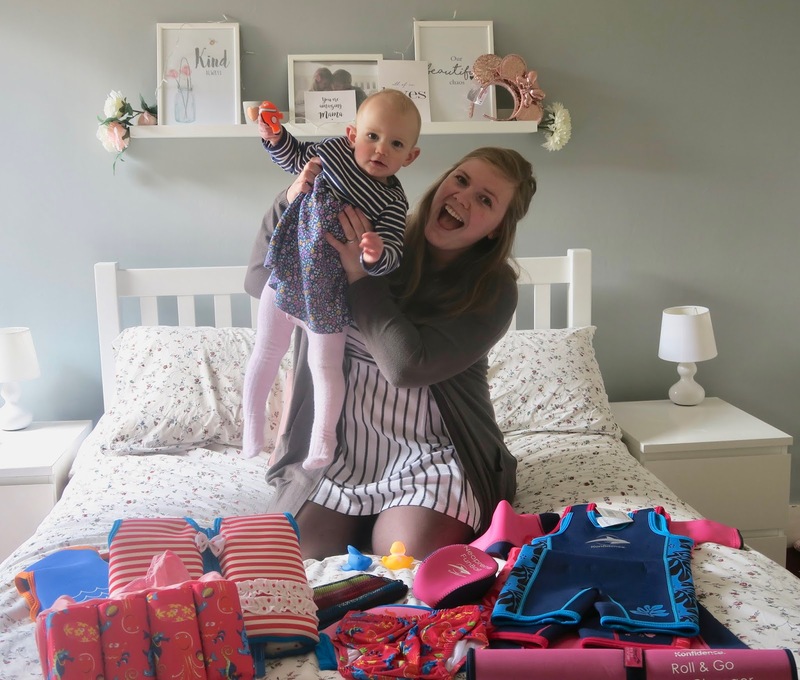 The giveaway is run by Emily and Indiana in conjunction with Konfidence. This post is written as part of our Konfidence Ambassador role. However we have not been paid, and all opinions are honest and my own. I'm pretty sure I've said these words in every single Me and Mine post, but I cannot believe we're another month down already! 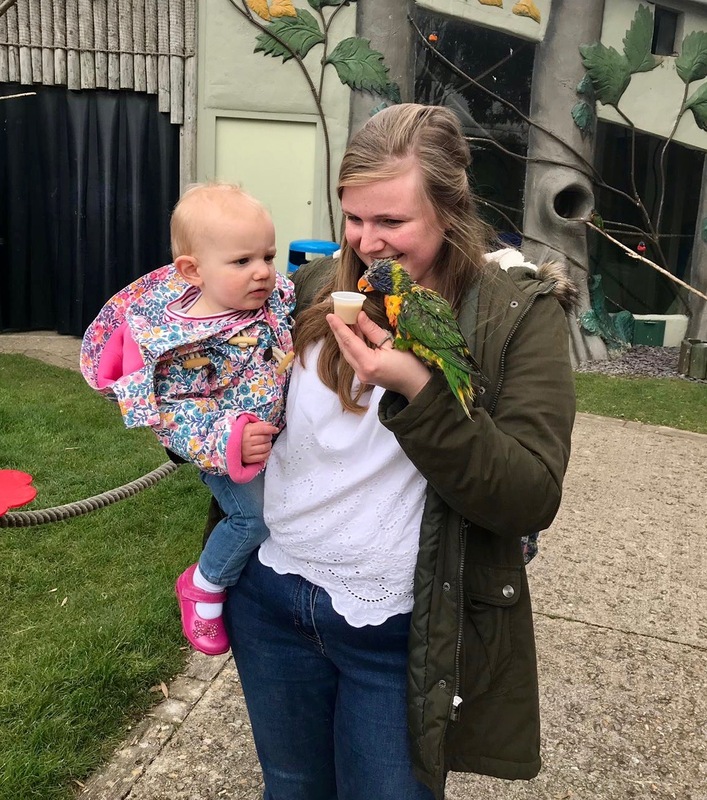 March absolutely whizzed by, and definitely went out with a bang as Mother's Day fell on the last day of the month this year. 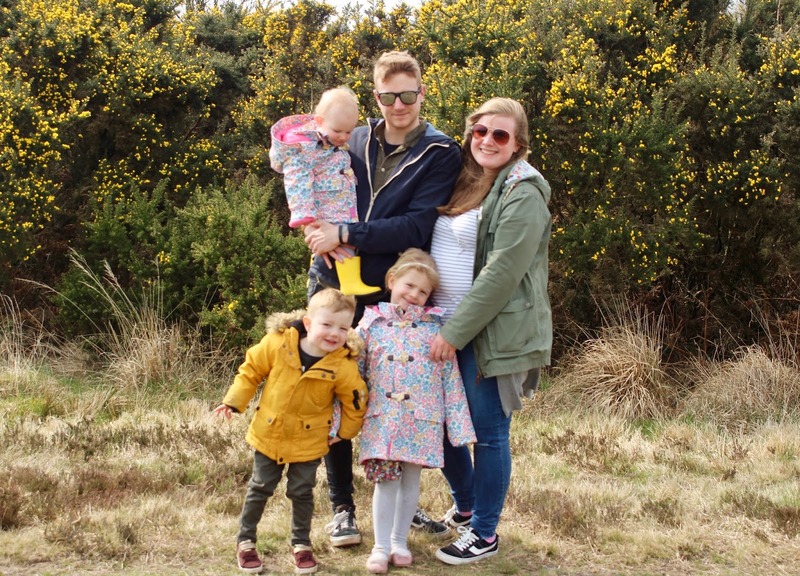 The month didn't get off to the best start, as the littles were struck down with sickness bugs and hand, foot and mouth. But I'm just hoping that we've now got all the bugs out of the way, so the warmer months will be illness free (fingers crossed!). We had lots of fun and memorable moments during March illnesses aside though. 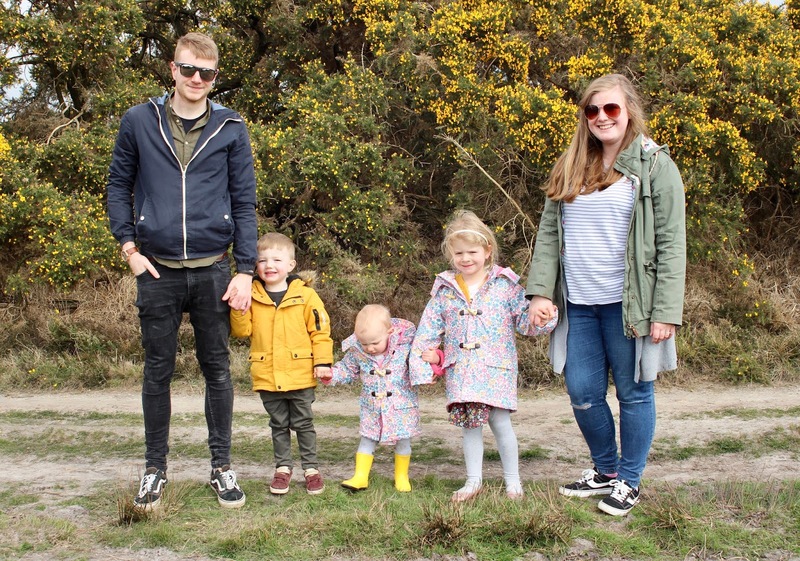 We flew a kite for the very first time, Jack ran his half marathon for Tommy's in an amazing time, and the big two had such fantastic school reports. The sun also came out long enough to get the garden ready for the summer! 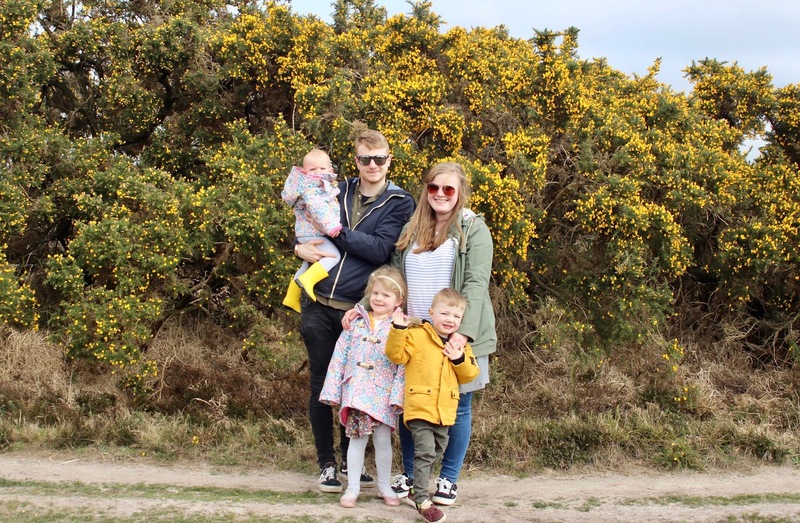 We took this month's Me and Mine project photos on a lovely Mother's Day walk. I was treated to breakfast in bed, beautiful handmade cards from the littles, and even managed a relaxing bubble bath before heading out for a pub lunch. Getting a picture of the 5 of us is getting trickier ever month, and these one took far too long to capture. But my goodness am I glad we take the time to capture these photos, as they are my favourite to look back on!